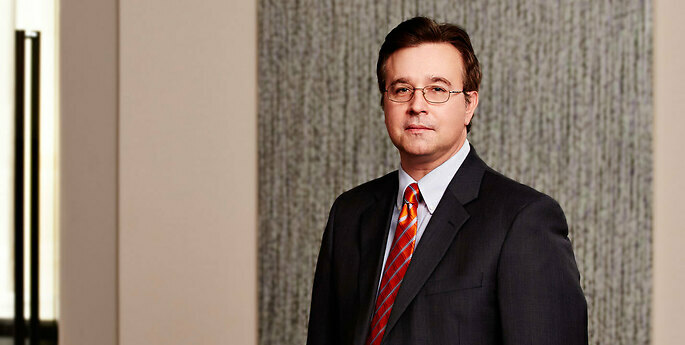 Dr. Lopinski's practice includes patent and opinion work, and strategic development and management of patent portfolios. He focuses on molecular biology, genetics, and immunology, with emphasis on complex immunotherapies, cancer biology, and therapeutics and diagnostics for a wide range of human and non-human animal disorders. Prior to law school, John was a teaching assistant in the University at Buffalo Department of Biology. He also developed and taught courses in cell and molecular biology in the University at Buffalo’s School of Medicine and Biomedical Sciences post baccalaureate program, which is designed to expand the pool of underrepresented, economically and educationally disadvantaged students in medical school. John finished his graduate research and completed his doctoral degree while simultaneously enrolled at SUNY Buffalo Law School, where he graduated with honors and was also a co-founding editor of the Buffalo Intellectual Property Law Journal. His research has been published in peer-reviewed scientific journals and has been cited more than 100 times by other scientists in publications that include Nature, the Proceedings of the National Academy of Sciences, and the Journal of Biological Chemistry. John assists a wide variety of clients with intellectual property needs, including large, publicly traded companies and smaller, privately held corporations. He especially enjoys working with university technology transfer offices and their faculty, and is an active member of the Association of University Technology Managers (AUTM), where he serves on the Eastern Regional Meeting planning committee. He has been a panelist and moderator for AUTM annual and regional meeting sessions. John practices in the firm’s Buffalo and New York City offices, and provides patent services from its Silver Spring, Maryland, office. * He exclusively practices U.S. law and is admitted in New York and to the U.S. Patent and Trademark Office. John is an active member of the Association of University Technology Managers (AUTM). He is a member of AUTM’s Eastern Regional Meeting Planning Committee and is the co-chair of sponsorship for the 2014 meeting.